At Shapiro Zwanetz & Associates, our clients are our priority. In every step of the process, we make sure to keep them informed and involved and we fight for the very best possible outcome. When your rights and future are on the line, the consequences of a bad outcome can be devastating. You need a legal team you can count on. Since 2005, Shapiro Zwanetz & Associates has helped Columbia residents to fight their court battles and preserve their interests. We are your friends that defend. Our boutique law firm keeps a short client list to make sure we give each case the complete attention it deserves. Whether you have been arrested on criminal charges or were injured as a result of someone else’s negligence, our Columbia lawyers are eager to help you fight for the outcome that best fits your needs and situation. We offer free consultations, so you have nothing to lose by calling us today and getting started on planning for your case. Shapiro Zwanetz & Associates is the law firm you can count on. 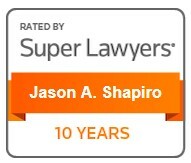 Our focus on client-centered legal service has earned us a strong reputation in our industry, with two of our attorneys maintaining a 10.0 Superb Avvo Rating. Our firm has also been rated by U.S. News & World Report as one of the best law firms for DUI/DWI defense in Baltimore, and when you work with us, you will quickly understand why. We have garnered a long list of positive client reviews from people who, like you, faced difficult situations and needed not only guidance but support. We are here for you, and we are available 24/7 for any urgent needs you have. Call us today and schedule your free consultation now. Let us show you why we do what we do. Interested in seeing what our clients have to say? Head over to our Reviews page to read more. Our firm keeps a short client list in order to make sure we can offer the close attention your case deserves. With us on your side, you can feel confident that we will use our industry experience and relationships to give you the best possible outcome for your situation. Do not hesitate to call us and find out what Shapiro Zwanetz & Associates can do for you. Call now. Not all firms are created equal. As one of only a handful to be given the title of Tier 1 Baltimore DUI/DWI defense firm, we have decades of experience gathering evidence to support our clients and helping them effectively tell their side of the story. You are not alone in fighting for your rights. We are here to help you build a case. Whether you need to avoid criminal consequences or are struggling to obtain compensation for a serious injury, Shapiro Zwanetz & Associates stands ready to fight for you. Our industry awards and positive client reviews are a testament to our commitment. Let us be your advocates. Call today and take advantage of our contingency fee pricing and free consultations. Get started now. This Isn't a "Paycheck" - This Is Our Calling. At Shapiro, Zwanetz & Associates (SZA) we believe in thinking differently from most lawyers and law firms. We help our clients understand and accept their legal situation; we work with them to confront and improve that situation, while seeking the best outcome available at law. We recognize that each client is a unique individual, each deserving of the highest client/customer service; and we just happen to get our clients excellent results while we deliver that exceptional service. We are about getting the best result for our clients. We approach every case as a team. Posted by Justin Lake, Esq.